Beginner and seasoned homeowners alike enjoy their colorful landscapes in fall. There is something magical about the flowers, the vividly nuanced foliage, and the buzz that create veritable symphonies of pigment and scent on their properties. However, no matter how glorious your lawn and landscape look this time of year, your maintenance tasks are not finished yet. On the contrary, now it is the time to engage in some intense lawn and landscape care activities in order to prep your gorgeous property for the upcoming cold season. Our landscape maintenance St. Peters MO specialists are here with a ten checkpoints list on early fall preparations you need to consider. Let us see what you should do to keep your lawn and landscape healthy and thriving this fall. Soil Testing: Have your local landscape maintenance St. Peters MO experts assess the entire property and test the soil’s pH, drainage, and nourishment needs. Depending on these results, you might need to amend the soil or engage in preparations that are more complex. Lawn aeration: De-compact the soil to allow air, warmth, light, water, and fertilizers reach deep within all plants roots. Lawn overseeding: After a long summer, your lawn may present dry, brown, damaged patches of turf. Overseed your lawn and water it properly. 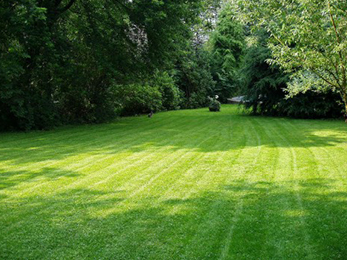 It ensures the lawn’s resilience to the cold season, pests, and diseases. Ask your local landscape maintenance St. Peters MO pros about crop mixing. Lawn mowing: Raising your mower’s blades this time of year is a good idea, especially if you have a blend of Bermuda, St. Augustine, and zoysia grasses. Taller grass blades represent better capture of sunlight and thus better chances to survive winter. Taller, denser turf also means strength against pests, diseases, and unforeseen weather phenomena. Lawn and landscape irrigation: Besides watering the lawn as needed, depending on the weather conditions and types of grasses you grow, you should also devise a landscape-watering plan. Evergreens need additional water during September and October. Lawn and landscape fertilization and weed control: Your fertilization and weed control St. Peters MO specialists will implement a proper program, including pre-emergence weed control and soil fertilization. 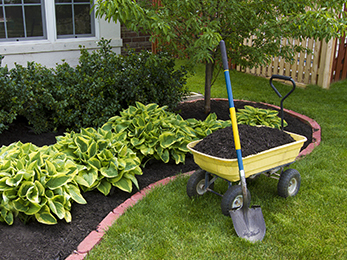 Landscape mulching: Turn the mulch and add a layer of fresh organic mulch to protect trees, flowerbeds, and vegetable gardens, among others. If you want to spice up your property, talk to your landscape maintenance St. Peters MO experts about inorganic mulch and ground covers. Vegetation trimming: Your shrubs, trees, hedges, vines, and flowery bushes need trimming and pruning this time of year to boost health and promote new flowers and foliage. Depending on the types of vegetation you cultivate, your landscape maintenance St. Peters MO specialists will make sure everything green on your property thrives healthily throughout the season. Pest Control: Make sure pests will not give you a hard time this fall. Either you choose chemical or organic pest repellents, you need to consider pest-deterring in order to keep your landscape healthy and clean. Landscape cleaning and organizing: A clean, organized, neat, and ordered landscape is less vulnerable to pests and diseases. Make sure you collect vegetal debris and properly store gardening tools and substances. For more information, details, and advice on early fall property preparations, ask your landscape maintenance St. Peters MO pros for their input. 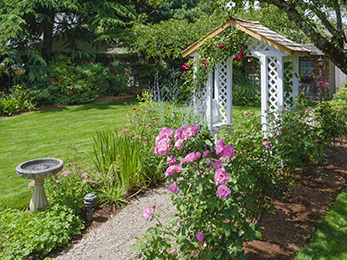 Have your local team of experts assess the property and offer you a full-season maintenance plan to keep your landscape healthy and thriving.